ST. LOUIS, Mo. 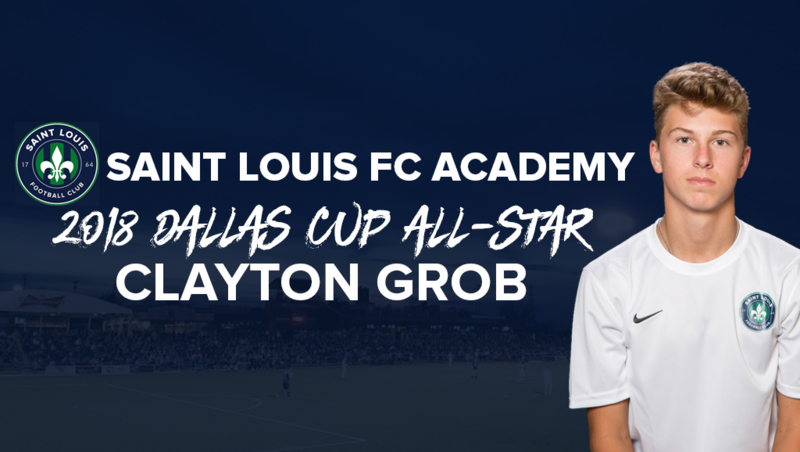 – The Dr. Pepper Dallas Cup and adidas announced that Saint Louis FC Academy U16 midfielder Clayton Grob was selected for the 2018 Dallas Cup All-Star Team. Clayton was one of 400 players from 20 teams in the U16 age group that competed in the 2018 Dr. Pepper Dallas Cup. Only 18 players from those 400 total players are chosen for the 2018 Dallas Cup All-Star Team which is comprised of the top players from the United States and Canada. The 18-player squad will travel to the Netherlands and Belgium in August where they will take part in training, friendly matches, and city tours. The team will be coached by Mike Matkovich who is the former head coach of the U-18 U.S. Men’s National Team.